Sea Green is a new property with excellent central location in Praia da Pipa, in a nice and quiet area, just 100 meters from the main street, where the main restaurants, bars, cafes, nightclubs, supermarkets, ATM's, and access to public transportation are available. We are also just 200 meters from the main beach and within walking distance to the Dolphin's Bay and Praia do Amor, considered among the most beautiful beaches in Brazil! 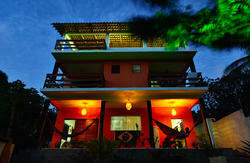 Our main structure is surrounded by a beautiful green garden, with veranda and hammocks available on both floors. We offer free WI-FI internet access (as well as a desktop computer at the reception for the use of our guests). 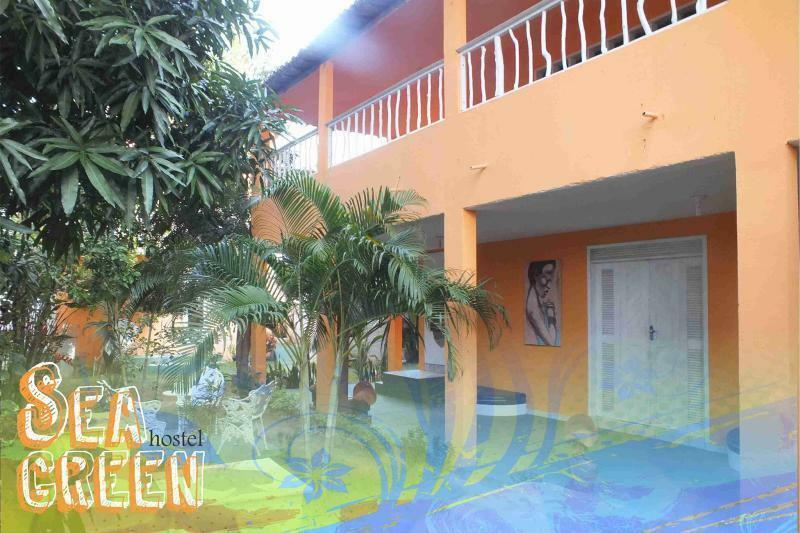 At our reception, you can find touristic information and guides, and we can indicate and arrange the best touristic attractions, tours and rentals to make the best out of your stay while in Pipa. We can also arrange taxi transfers to and from the Natal International Airport (Augusto Severo), as well as to and from any other city in the region, upon your request. We look forward to your arrival, our goal is to make you stay in Pipa unforgettable, providing you with customer service that stands out. 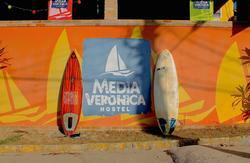 Arriving at the Pipa Bus Station, walk on the main street (Av. Baía dos Golfinhos) for about 500 meters towards the center of Pipa, and turn right on Rua dos Bem-Te-Vis (the second street perpendicular to the right). 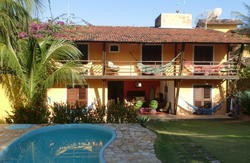 Walk 100 meters, the property is on the right side of the street, right across the post office (Correios).